Press Release for Chaysing Dreams!!! Outskirts Press announces the latest highly anticipated romance and suspense fiction from Bartlett, IL, author Jalpa Williby. Denver, CO, and Bartlett, IL – Outskirts Press, Inc. has published Chaysing Dreams by Jalpa Williby. The author’s most recent book to date is a 5.5 x 8.5 paperback in the romance and suspense fiction category and is available worldwide on book retailer websites such as Amazon and Barnes & Noble. The webpage at http://www.outskirtspress.com/chaysingdreams was launched simultaneously with the book’s publication. Getting through the growing pains of high school with her best friends Jack and Kylie, and then being accepted into her dream college, Tess is excited to start her life of independence. Then she meets the mysterious trainer and mentor, Chris, and she instantly feels a strong connection with him. Unfortunately, he wants nothing to do with her. Although Chris continues to give her the cold shoulder, his over-protectiveness and the occasional slips of sensitivity confuse her. The more Tess tries to connect the missing pieces of her life, the more obscure her past and future appear. To make matters worse, she realizes she has fallen hard for a man who may be her worst enemy. She is unexpectedly exposed to a world of deceit and danger, causing her to be running for her life. Can Tess escape and save not only herself, but also her loved ones? Or will she be caught, leaving her no choice but to face her worst nightmare? Chaysing Dreams is an ultimate love story, full of suspense, friendship, betrayal, tragedy, and sacrifice. 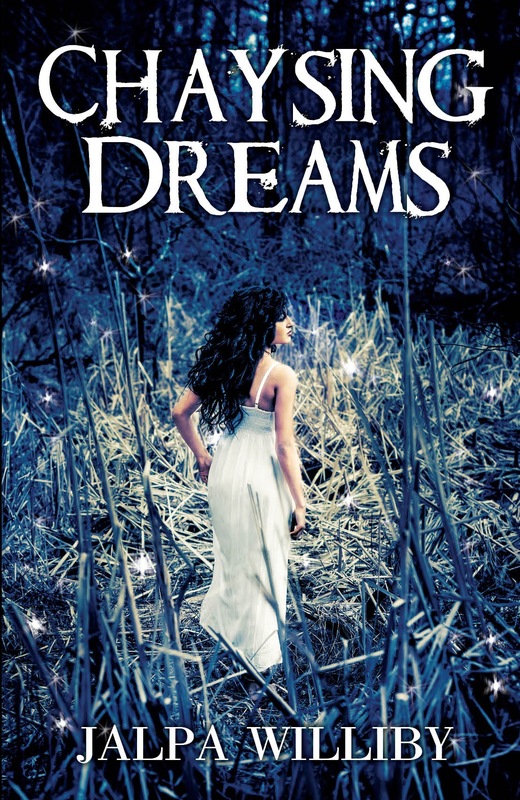 377 pages in length, Chaysing Dreams is being aggressively promoted to appropriate markets with a focus on the romance and suspense fiction category. With U.S. wholesale distribution through Ingram and Baker & Taylor, and pervasive online availability through Amazon, Barnes & Noble and elsewhere, Chaysing Dreams meets consumer demand through both retail and library markets with a suggested retail price of $18.95. Additionally, Chaysing Dreams can be ordered by retailers or wholesalers for the maximum trade discount price set by the author in quantities of ten or more from the Outskirts Press Direct bookstore at http://www.outskirtspress.com/bookstore. For more information or to contact the author, visit http://www.outskirtspress.com/chaysingdreams. Posted on September 21, 2013, in Uncategorized and tagged chaysing dreams; press release; novel. Bookmark the permalink. Leave a comment.